All around the world, people could be having better days. Constraints at work can make us feel disengaged and dissatisfied, and as we spend more time in the office than we do with our families that feeling can follow us home. But here's the wonderful news: powerful advances in cognitive science have shown us how we have far more control over the quality of our day-to-day lives than we realize. 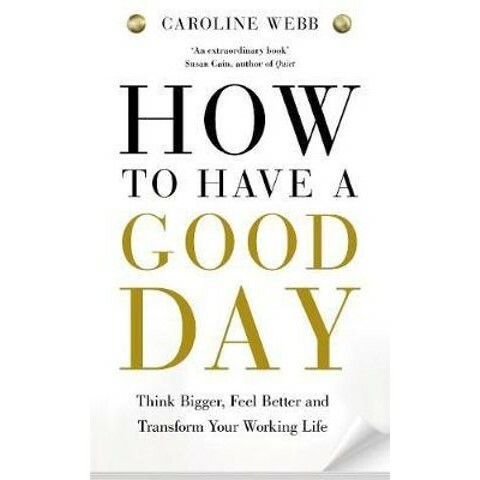 How To Have A Good Day translates behavioural economics, neuroscience and psychology into practical advice to help you make every day - at work and at home - a good day. With fascinating case studies and easy-to-implement daily strategies for effectiveness, happiness and productivity, Caroline Webb shows how we can all have more control and more 'well-planned luck' - in our work, in our family life and in our communities. Caroline Webb is Chief Executive of Sevenshift, an advisory firm that works with clients to strengthen their ability to lead and inspire change. Previously a partner at McKinsey & Company, she remains an external Senior Adviser to McKinsey on leadership and she is a Senior Expert in the Mobius network.